Just a quick note before I go into the week's in my mailbox: first week at work has gone by so fast! Thanks again to everyone who wished me luck on the interview about two weeks ago. I am now the store manager of the local branch of a major book and stationery retailer. Yay! I'm so glad to be working with books again! It's my first time as a store manager as well, so I'm pretty excited. 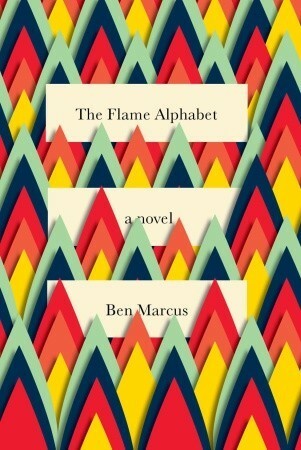 The Flame Alphabet by Ben Marcus. From one of the most innovative and important writers of his generation: a brilliant, mesmerizingly dark new novel in which the speech of children is killing their parents. At first it's just Jews - then everyone. People are leaving their families to survive. Sam's wife, Claire, is already stricken and near death. In a year or two, as she grows into adulthood, their daughter, Esther, too, will become a victim. Sam and Claire decide to leave Esther on her own, hoping a "cure" will miraculously appear. Sam's car is waved off the road at a government-run laboratory where horrific tests are being conducted to create non-lethal speech. Throngs bang on the doors to be subject volunteers; they're all carried out half-dead. When Sam realizes what's going on, he makes a desperate escape, vowing that if he dies it will be with his family, the only refuge of sanity and love. Ben Marcus's nightmarish vision is both completely alien and frighteningly familiar. What bookish goodies did you get this week? 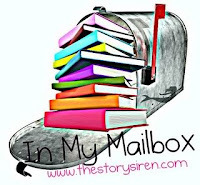 In My Mailbox is a weekly meme created by The Story Siren for book bloggers so we can share the books and book-related items that we're excited about. I got this book a few weeks ago! It really sounds interesting! PS So glad that your new job is working out....I am sure as with any new job it will be rough with a lot of training the first few weeks but then before you know it you'll be in your groove!! This is a new one to me I hadn't seen it before. It sounds interesting! I haven't heard of this one, but it sounds interesting. Congrats on the job! How exciting!